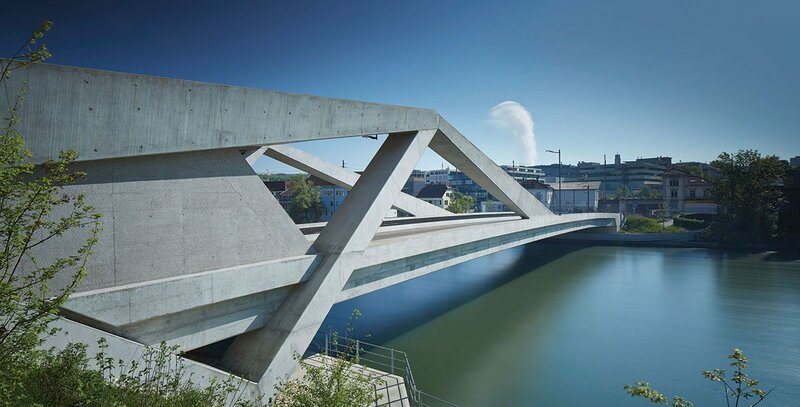 Olten’s new Landmark, the Aarebridge, which is part of the project entitled “Entlastung Region Olten (ERO)” was handed over to the public in April 2013. 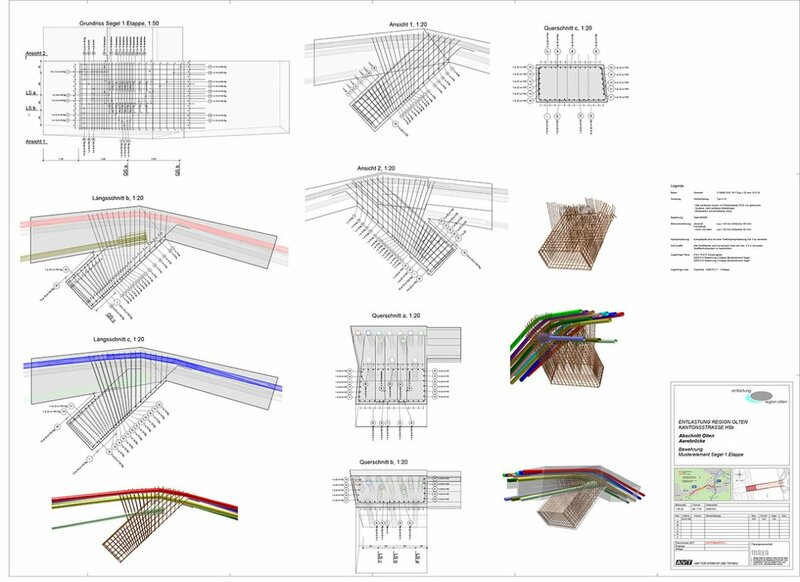 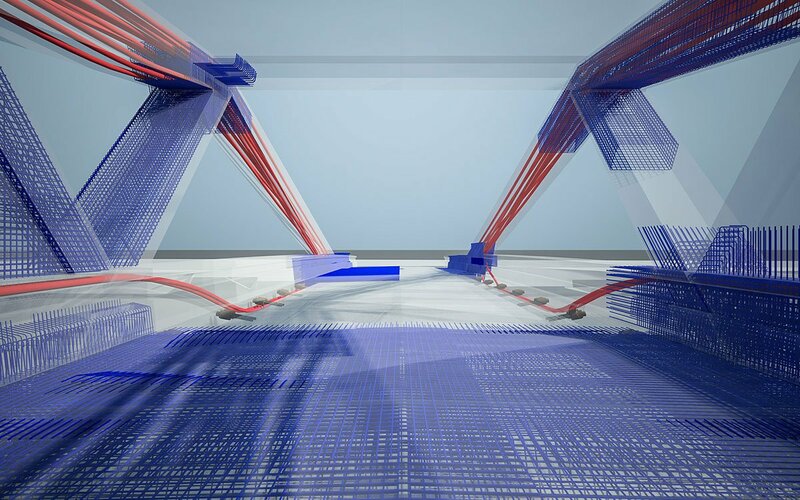 Thanks to the 3D model the designing/detailing-team was able to prove visually that the main nodal points of the static system will fulfil all of the requirements to place a rebar and post tensioning cables, despite its very minimalistic dimensions. 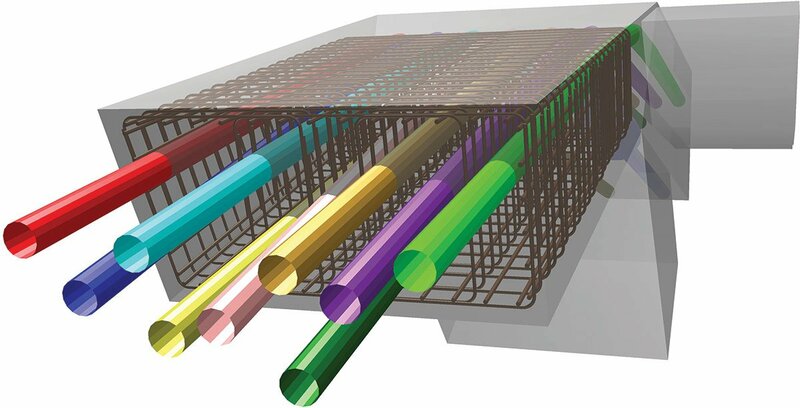 The planning-team took a bold approach for the project contest to design the new Aarebridge “maya”: with a span width of approximately 104 m, the bridge connects a tunnel and a roundabout over the river Aare without any columns. 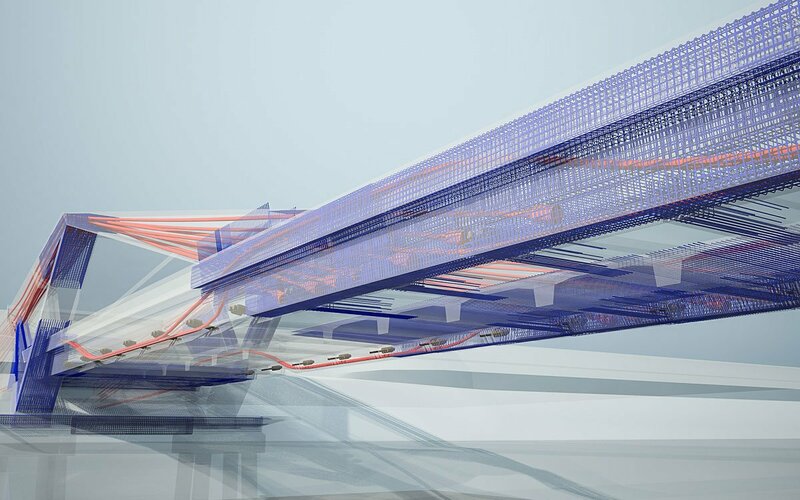 The outstanding concept won the international contest of 69 participants back in 2005 and was detailed and construction managed by the same offices: Bänziger Partner AG (Baden), ACS-Partner AG (Zurich), Architect Eduard Imhof (Luzern) and landscape architect David von Arx (Solothurn).